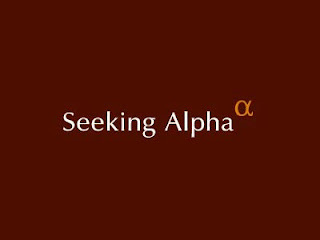 Bioassociate recently published a SeekingAlpha article about a very promising stock - Aveo Pharmaceuticals (AVEO). Below is a re-run of the article. Aveo Pharmaceuticals' (AVEO) big day is getting closer - on May 2nd, the FDA's Oncologic Drugs Advisory Committee (ODAC) is scheduled to review the company's lead drug candidate tivozanib for the treatment of advanced renal cell carcinoma (RCC). As the committee's verdict is expected to greatly influence Aveo's stock price, this article will weigh in the facts and statistics with which Aveo and tivozanib are coming with to this crucial date. Tivozanib is an oral, once-daily, investigational tyrosine kinase inhibitor that works by selectively inhibiting vascular endothelial growth factor (VEGF) receptors. Tivozanib is a second generation VEGF inhibitor, which targets all three VEGF receptor types and is considered more specific compared to older generation drugs. AVEO has a worldwide agreement with Astellas Pharma (Tokyo:4503) to co-develop and commercialize tivozanib. Tivozanib's NDA submission was based on a global, randomized Phase 3 superiority clinical trial (TIVO-1) that evaluated its efficacy and safety compared to sorafenib (nexavar) in 517 patients with advanced RCC. What can support a positive AdCom recommendation for Tivozanib? 1. Tivozanib demonstrated a statistically significant improvement in TIVO-1's primary endpoint - progression free survival (PFS) compared to sorafenib. Treatment with Tivozanib resulted with a median PFS of 11.9 months compared to a median PFS of 9.1 months for sorafenib in the overall study population. Among a treatment-naive patients sub-population, Tivozanib's gap from sorafenib was even greater, with 12.7 months median PFS, an advantage of more than 3.5 months over sorafenib. 2. Patients treated with Tivozanib demonstrated statistically significant advantages in tolerability parameters: lower rates of dose reductions (12%) and interruptions (18%), compared to 43% and 35% for sorafenib, respectively. In addition, Tivozanib treatment resulted with lower rates of common adverse events than sorafenib, besides Hypertension, which has been previously linked with increased efficacy in other VEGF inhibitors. What can interfere with a positive AdCom recommendation for Tivozanib? 1. In the TIVO-1 study, Tivozanib failed to show benefit over sorafenib in overall survival (OS). Median OS was 28.8 months for Tivozanib and 29.3 months for sorafenib. 2. Although Tivozanib is the first RCC drug to show head to head results in a phase 3 registration study, the comparator used was sorafenib, which is not considered to be the best in class. Why do we think Tivozanib will be recommended by the AdCom? 1. Tivozanib is the only drug targeted at RCC to show PFS of over 12 months, including sunitinib (Sutent), and Pazopanib (Votrient), which are considered to lead the class. 2. Lack of OS superiority was not an influencing factor in the approval of all other targeted therapies for RCC. Importantly, the FDA acknowledges(pages 7-8) that in crossover studies (such as the TIVO-1 study) overall survival results are greatly affected, since the vast majority of patients from the control arm cross over to the treatment arm. If this is true to crossover from older, non-targeted, drugs to new generation drug arms (as in the cases of sorafenib's, sunitinib's, and Pazopanib's phase 3 registration studies), it is even truer when patients cross over from a comparator drug arm to the tested drug arm, when both drugs have comparable mechanisms of action. 3. Tivozanib's significant tolerability and safety advantages over sorafenib suggest it would also be safer than other approved RCC drugs. In a review of adverse events among targeted therapies for renal cell carcinoma that was published in 2012, sorafenib was one of the drugs with fewer adverse events of the bunch. Aveo's Tivozanib is one of the most closely watched cancer drugs in late-stage development. In the phase 3 TIVO-1 study, Tivozanib exhibited significant efficacy (in the PFS parameter) and safety advantages over sorafenib, but failed to improve overall survival rates. A significant improvement of tolerability and safety, which in turn lead to better patient compliance, along with equivalent efficacy, should be enough for AdCom recommendation for FDA approval. Combined with Tivozanib's impressive PFS data (which is consistent with the phase 2 study), the real potential value of tivozanib will not escape from the eyes of the AdCom members. So far, there hasn't been a run-up of Aveo's stock towards the AdCom date. In such cases, the stock's reaction to positive data may be substantial. We predict a $10-11 target following AdCom recommendation for approval.